Love the store-bought Chia Pods but don’t want to pay a fortune? 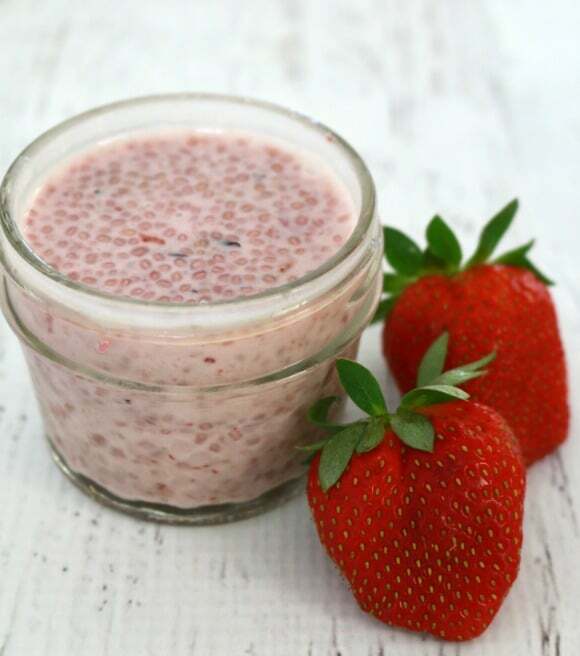 Now you can make your own at home with this quick and easy Vanilla Berry Chia Pods recipe. 1. 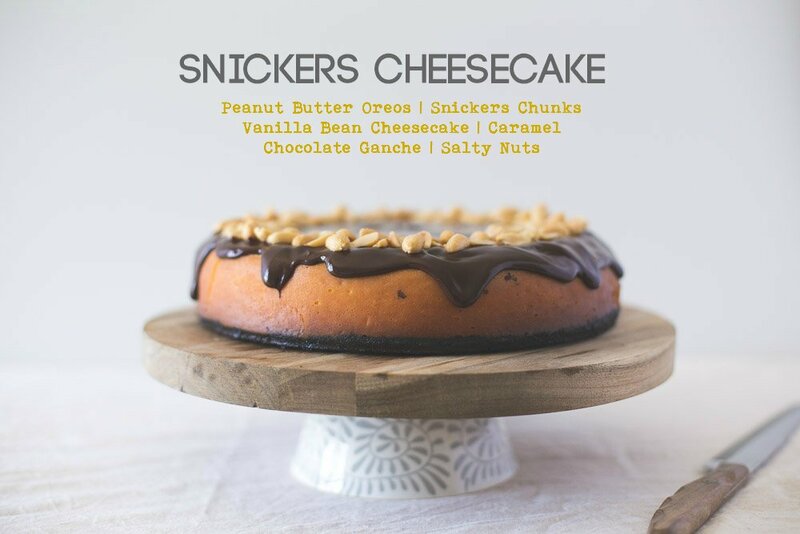 First up is this amazing Snickers Cheesecake from Erin Made This. Seriously! A Snickers Cheesecake. Someone help me now. 2. 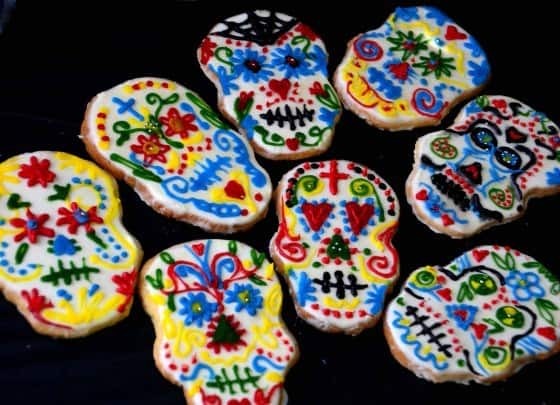 Get into the Halloween spirit with a batch of Sugar Skull Cookies from Boy Eats World. 3. 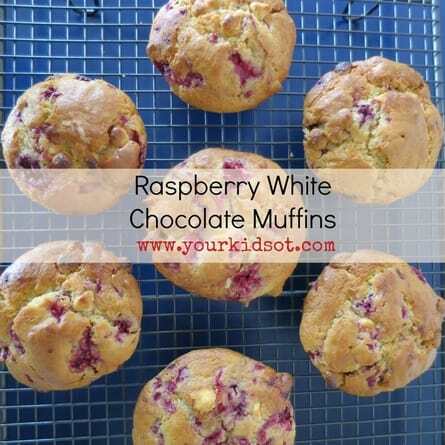 Raspberry & white chocolate muffins are the best!! Loving this recipe from Your Kids OT. 4. 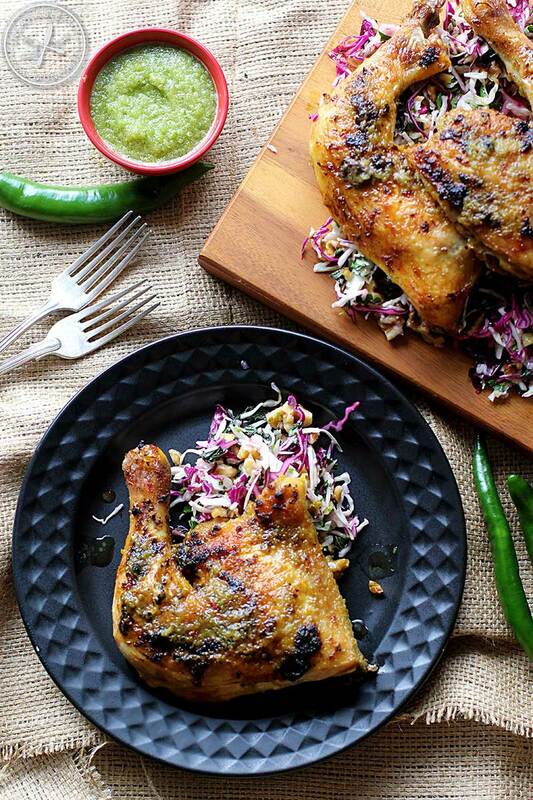 I’m definitely making this Yuzu Peri Peri Chicken from Insatiable Munchies at our next BBQ. 5. 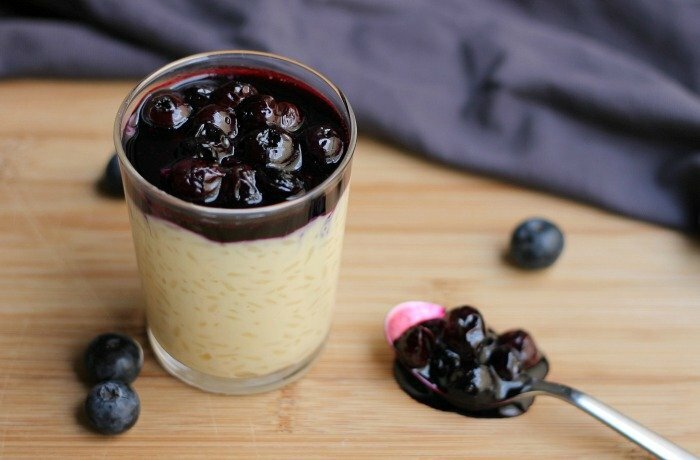 And last but not least, Pretty Mayhem has done it again with an ah-maaa-zing Creamy Rice Pudding recipe. Check out the yummy blueberry sauce!! 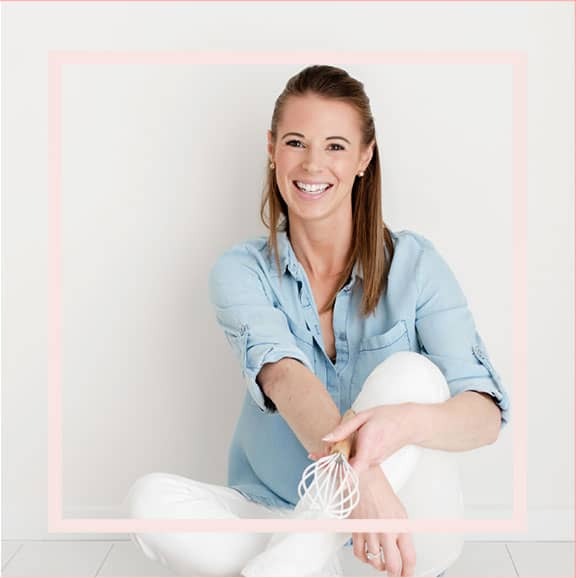 Don’t forget to check out Lauren’s favourites too! 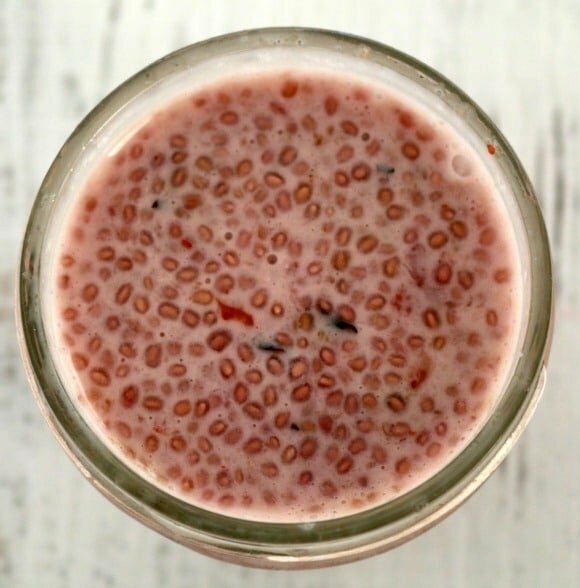 This week I’m going to share a recipe for Homemade Berry Chia Pods with you – I’m very excited about this one! Like a lot of people, I often buy the little Chia Pods from the supermarket. To be honest I don’t buy them because they taste amazing (because they don’t really), but more for the health factor. Considering what goes into those teeny-tiny pods though, they are waaaaay overpriced. I know that chia seeds are expensive, but come on! Those pods are minuscule. Seriously! Anyway, a few weeks ago I decided that I was sick of paying ridiculous amounts for the Chia Pods and I was going to make my own at home. So I did a sneaky little trip to the supermarket and snapped a very quick photo of the ingredients on my phone (you could probably see the guilty look on my face a mile away!). 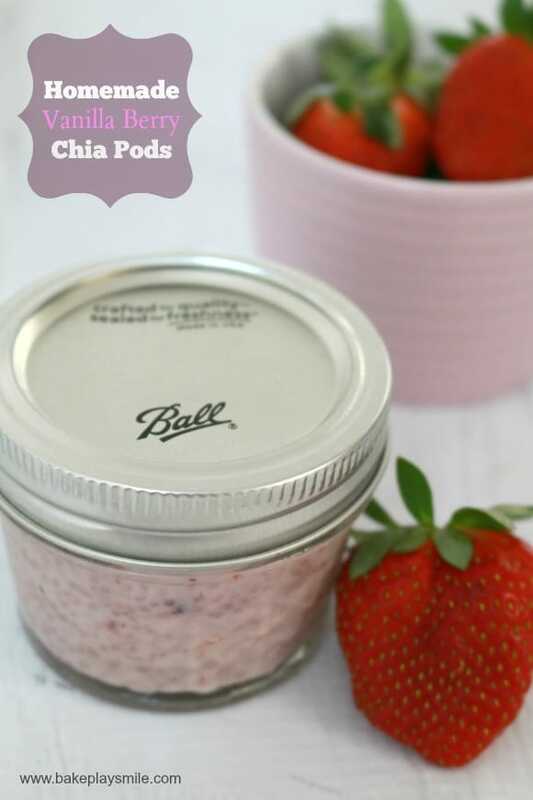 There’s quite a few different Chia Pod flavours available now, but I decided to start off with a simple vanilla berry flavour combination – mainly because the berries around at the moment are just so good. I find the Chia Pods at the supermarket to be a bit bland so I wanted to up the flavour a bit too. 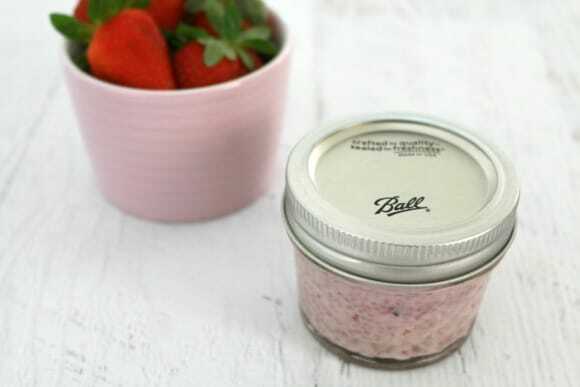 To make the berry chia pods you’ll need four little 1/2 cup capacity glass jars or containers. 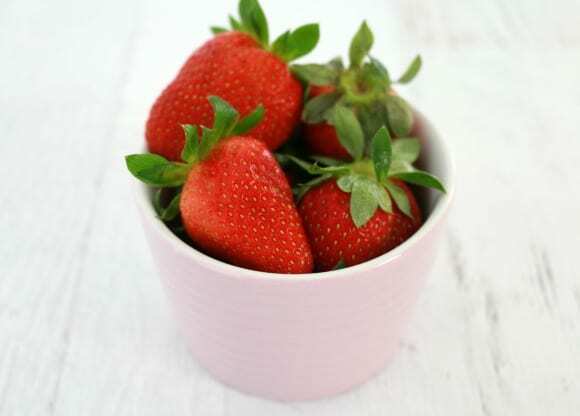 Start off by pureeing the berries in a food processor, blender or Thermomix. Add the almond milk, vanilla extract and honey and blend well. With a spoon mix the chia seeds into the mixture. Pour the mixture into your little jars and place in the fridge overnight. I also like to give the jars a little shake after about 30 minutes just to make sure everything is mixed well. When you get the chia pods out of the fridge in the morning, you will have the weirdest, jiggly mixture. If you haven’t tried chia puddings before, don’t be surprised if you’re totally freaked out by the texture – I still find it weird! I like to have my chia pods with a few scoops of yoghurt and freshly sliced banana. If you’re in a rush, then these are the best things ever, because you can just grab a little jar and eat it on the way to work. 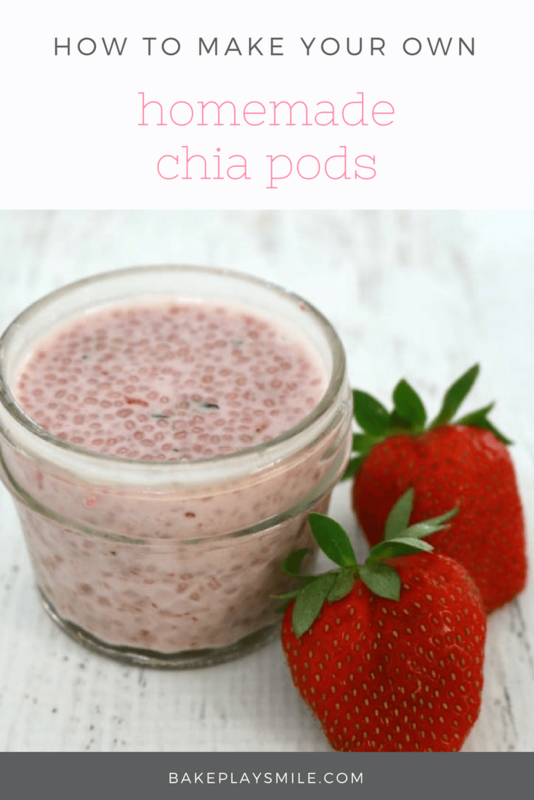 Do you eat the store-bought Chia Pods or have you experimented with your own homemade versions. What other flavour combinations do you think would be yum? Next up, I’m totally trying an apple pie version. Vanilla Berry Chia Pods are full of omega-3 goodness... and are way cheaper than the store-bought versions! 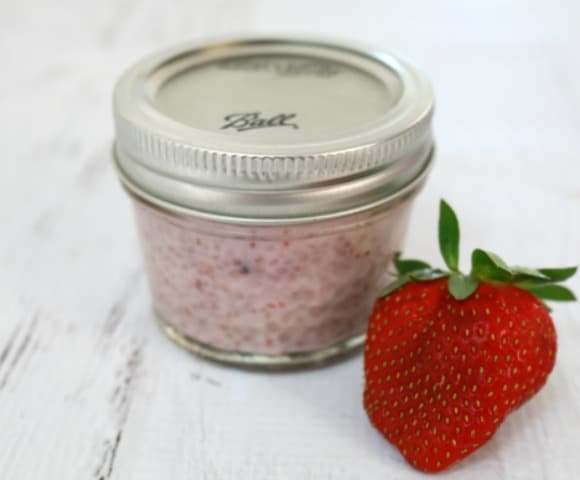 To make the berry chia pods you'll need about four little 1/2 cup capacity glass jars or containers. Start off by pureeing the berries in a food processor, blender or Thermomix. Add the almond milk, vanilla extract and honey and blend well. With a spoon mix the chia seeds into the mixture. Pour the mixture into your little jars and place in the fridge overnight. I also like to give the jars a little shake after about 30 minutes just to make sure everything is mixed well. So many recipes so little time. Thanks again for hosting. I’ve never bought the chia pods (way overpriced) but have made it a few times at home. I really should make some more and experiment with flavours. That’s my plan too – to get experimenting!! I love the look of those chia pods – I’ve never had the guts to explore chia seeds before, and it looks delicious and accessible! Definitely keeping this in mind for my breakfast rota. Anytime! Oh yes you’d love chia seeds – they’re so good for you and so versatile too. Omg those recipes I really don’t know which one to loose my mind over more! Snickers cheesecake… The intracasy of those skull cookies… The rice pudding & the peri peri chicken… To much choice just there!